An occupancy permit is required by all moving into a residential home. The occupancy permit is only issued after the home passes inspection. The cost is $20.00 and requires the names, ages, work information for all who will reside in the home. To recieve an occupancy permit, please call the village office for an appointment. Gargae sales/ yard sales are permitted in the village. The applicant needs to provide to the village the date of the sale, address, contact information. The cost for a permit is $2.00. Signs advertising the sale are permitted but must be removed one day after the sale. To recieve a garage permit, please call the village office for an appointment. A building permit is required for most construction done within the village boundaries. The cost for a basic buidling permits is $5.00. This includes fences, sheds, buidling extensions, decks. This is NOT an all-inclusive list. 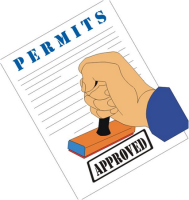 Building permits are generally not required for window replacement, driveway repairs (unless changing the footprint), or plumbing. Call 31.426.5750 for further information. Excavtion permits cost $25.00. Please call for further information. 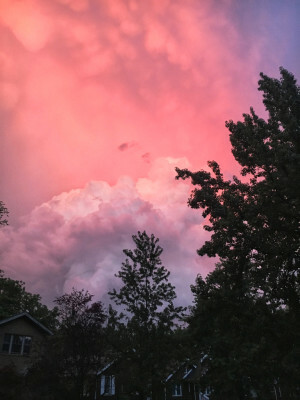 IF St. Louis County Public Works requires a municipal zoning approval, please provide a set of plans for our records and a completed municipal zoning approval form. Call 314.426.5750 for more information. All residential homes & duplexes are required to be inspected upon re-occupancy. The inspections follow building code of the village and look at basic safety issues and code enforcement issues. The occupancy inspection that is required when there is a change in occupancy of a residence in the village is for compliance with the International Building Code, and for safety concerns. This inspection is in no way a substitute for a building inspection performed by a licensed building inspector. The village contracts with the City of St. John for residential inspections. 1) Provide to the village a payment of $50.00 along with address and contact information. 3) The village will contact the City of St. John regarding the request for inspection. 4) The applicant will contact the City of St. John at 314.427.8700 x3 to schedule an appointment. 5) The payment is good for two (2) inspections, an initial inspection and one re-inspection. For questions, please call the village office at 314.426.5750 and leave a detailed message for the building commissioner. A sewer lateral is defined as the portion of the sewage system which carries household wastes to the Metropolitan Sewer District's sewer main. The sewer lateral lies between the home's foundation wall, or exterior wall, and the MSD sewer main, which are typically located under the street or in the sewer easement. For the purposes of this program, the sewer lateral does not include any portion of the line that lies under any part of a building. A sewer lateral may be located in the front, side or rear yard. All single family residences, condominiums, and duplexes within the Village of Sycamore Hills are covered by the sewer lateral program. A sewer problem is considered eligible to receive Village-held sewer lateral funds if, after investigation and documentation and affirmed by the village, the lateral sewer line is found to be crushed or collapsed due to causes beyond the control of the property owner. Cabling, sewer cleaning, and rodding are not covered by the lateral sewer repair program. When it has been confirmed by the village designated plumber that the sewer problem qualifies for the sewer lateral repair program, then the property owner shall solicit bids for the necessary repair work from at least two (2) plumbing contractors or drain layers licensed to perform such work in St. Louis County. The property owner may hire the contractor which he/she determines to be the best contractor to repair the sewer line. Corrective work which is subject to reimbursement from the sewer lateral fund is limited to excavation, repair, or replacement of the collapsed portion of the line. Additional work shall be done at the homeowner's expense. THE VILLAGE HAS NO OBLIGATION OR RESPONSIBILITY FOR THE PERFORMANCE BY THE CONTRACTOR AND NO RESPONSIBILITY FOR ANY DAMAGES CAUSED TO THE HOMEOWNER'S PROPERTY BECAUSE OF SEWER LINE DEFECTS. 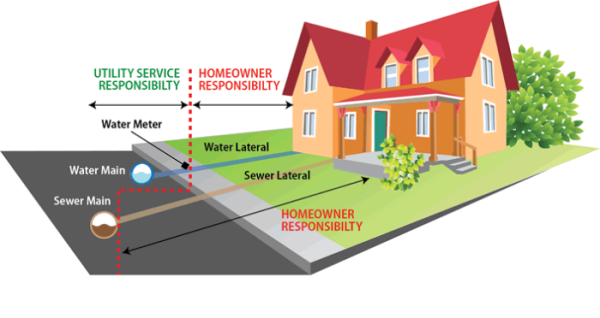 The diagram shows the different responsibilities for the water lateral and sewer lateral. unexplained unusually high water usage bill. to schedule an inspection to confirm a leak. If there is a leak, the inspector will leave a repair notice, which will be included in your application to St. Louis County. The water service line repair program is conducted through St. Louis County. For more information please call, 314.615.8420.